In 12 hours, we will take you on a tour around the world of online printing. 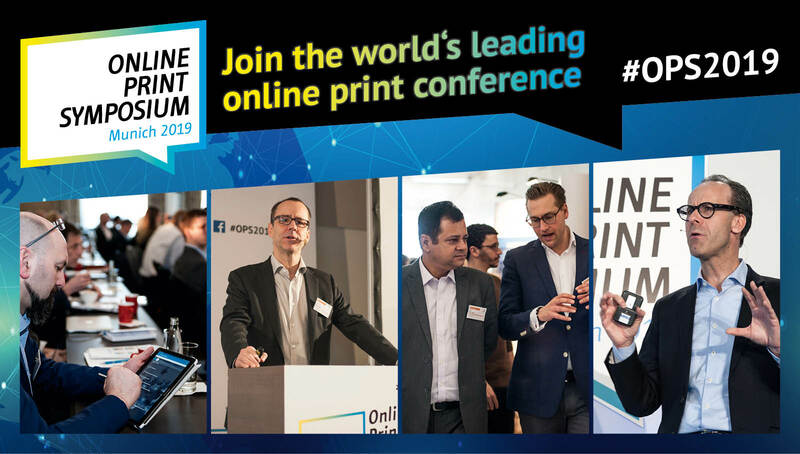 After which the participants of the 7th Online Print Symposium on April 3rd and 4th in Munich will then know how Onlineprint presents itself on each continent. 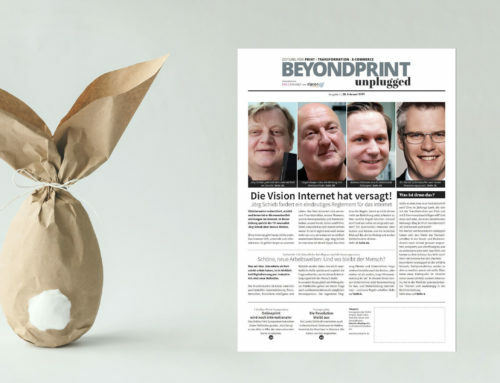 The speakers of the symposium, with its exclusive and international program, read like the “Who’s-who” of the international online print scene. 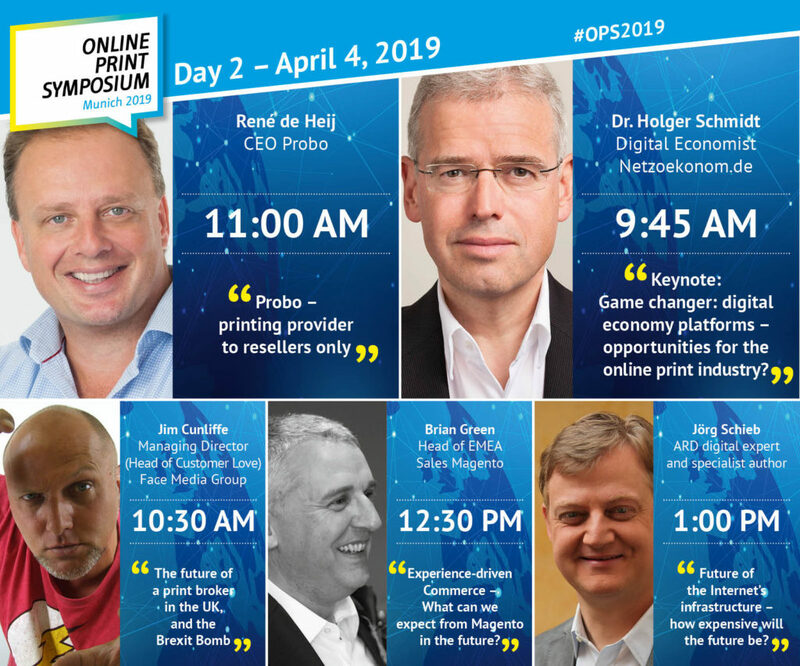 The speeches of the pioneers and innovators from Europe, Asia and the USA are brimming with insider knowledge, visions, trends, best-practice examples and outlooks on the future of e-business print. 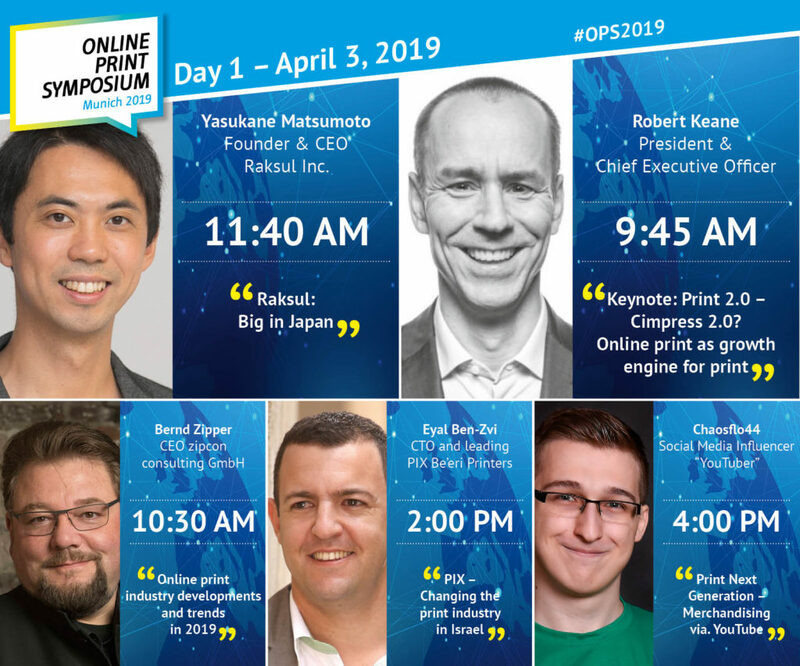 Robert Keane, CEO of Cimpress, will give a keynote speech, on the first day of the event, in which he will discuss the growth engine of online printing, highlight future key technologies and processes, and outline new business models that new technologies have to offer. “We are often asked how automation, robotics, artificial intelligence and machine learning can be used in our industry. 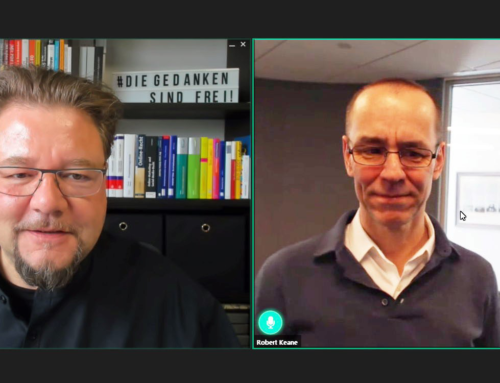 I will therefore concentrate on these topics and present them in the context of a difficult competitive situation, in which all OPS participants find themselves due to the decelerated growth of Onlineprint,” Robert Keane told the organizers (Bundesverband Druck & Medien and zipcon consulting GmbH). 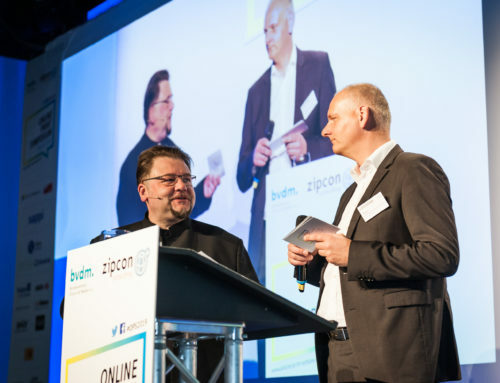 The analysis by Bernd Zipper, CEO of zipcon consulting, who will discuss current developments and trends in the online print industry in 2019, is also eagerly awaited this year. 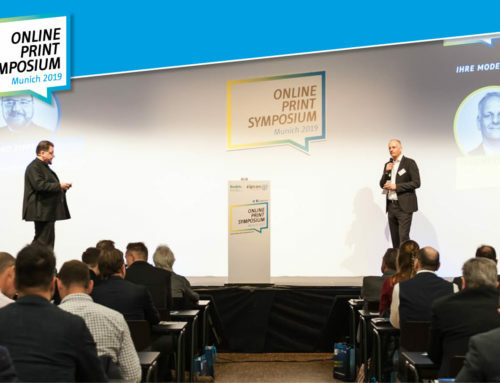 His forecasts have consistently been accurate over the past few years and, in addition to precise evaluations, the participants of the Online Print Symposium expect numerous suggestions and tips for “everyday online printing”. An exclusive international program with top speakerspioneers, as well as movers and shakers from across Europe, Asia and the USA awaits the participants of #OPS2019. Yasukane Matsumoto and Kozo Fukushima, CEO & COO of Raksul Inc., have established a new B2B sharing platform in Japan that links supply and demand directly. As a result, Raksul differentiates itself clearly from other pure Internet companies. Jürgen Geiger, founder and CEO of mypromo.com, presents a new e-commerce solution for digitalizing the promotional products industry. The linking of this traditionally offline market with new online business models connects promotional product dealers and manufacturers with the customer market. Eyal Ben-Zvi and Haran Kislev, CTO & Head of Online Printing at Be’eri Printers, describe how the online print shop, PIX, is changing the printing industry in Israel. The highlight of this presentation will be the online print revolution in Israel and the future of its printing industry. The personalization of products and services is a strong trend in digital reality. Paul Adriaans, EVP of RPI Europe, gives insight into how a provider of personalized print services can always be one step ahead of traditional businesses. 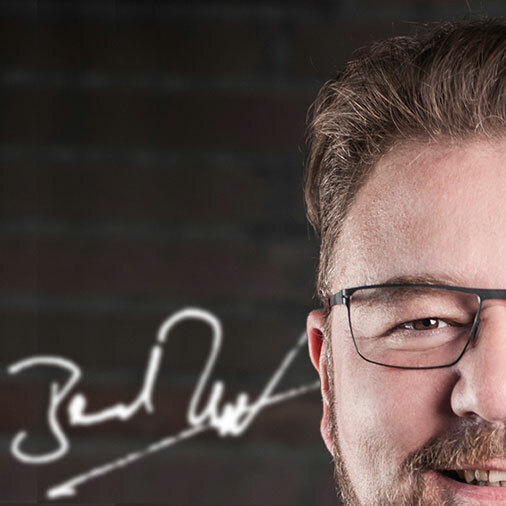 “New ways are created by embarking upon them,” says Sven Burkhard, Managing Director of Schmid Druck+Medien GmbH, describing the traditional printing house’s path to Industry 4.0. He participated in a software deployment project to equip his company step by step for the future. Another highlight of the Online Print Symposium is the participation of Chaosflo44, a Social Media Influencer and “YouTuber” with almost 1.2 million subscribers and over 780 million hits, he is one of Austria’s most successful YouTuber. At the end of the first day he will shed light on the subject of merchandising and the potential behind it. Speakers from the world of science will also be on hand. Dr. Holger Schmidt, network economist at the TU Darmstadt, will explain in his keynote speech, on the 2nd day, the topic of platforms as a superior business model in many digital markets. He will present the most important facts and ideas on how online print can be found in the platform world. Jim Cunliffe, Managing Director of the Face Media Group, will explain what the future of a print broker in Great Britain could look like and how the Brexit bomb could impact them. It’s an explosive presentation – after all, the company buys from over 40 printing companies across Europe and markets its products in the UK market. The presentations are not only inspiring, but also encourage reflection, discussion and networking. Probo was founded in 2001 and is an exception in the online printing world since it works exclusively with resellers in the large format printing market. René de Heij, CEO of Probo, describes the strategy of focusing on fulfilment as well as product and service innovation. Onur Durmuş, CEO of Bidolubaski.com, sees his company as a bridge to the online printing industry in Turkey, the Middle East and North Africa. In his presentation he will analyze, from his perspective, the opportunities and growth prospects in the W2P sector that are shaped by Turkey’s geographical location. Brian Green, from Adobe and Head of Magento Sales for EMEA, will present a look at future developments in the industry with the article “Experience-driven Commerce – what to expect from Magento in the future”. Jörg Schieb, digital expert at ARD and author, asks, “How expensive will the future be?”, by questioning existing systems such as Google, Facebook and Co. and by considering the further development of the Internet infrastructure. 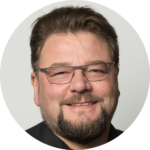 In his exclusive closing note, Jörg Schieb presents various approaches to the participants of the Online Print Symposium and shares his vision of the “Internet of the Future”. 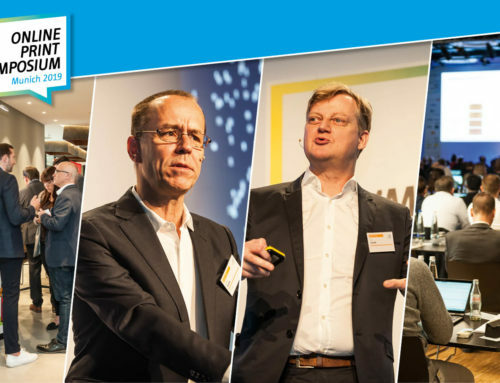 In addition, the Munich event will provide first-hand information on other key technologies and strategies for prospering e-business print. and an accompanying trade exhibition. Tickets are available here www.online-print-symposium.de/en – it’s worth it to be there.